Yes it's Monday but let's just try and forget all about that small little detail. 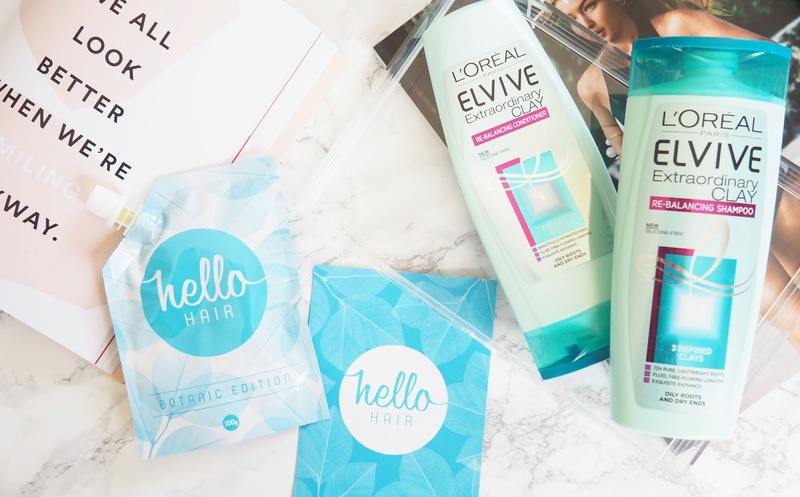 Today I wanted to talk about my current simple hair routine (may do a more in depth one on other favourite go to hair products later on). If you follow me on Instagram (shameless promotion right there) you will have seen me talk about my recent balayage turned ombre hair updates. I am naturally a brunette who has dabbled with the ombre look before (shoutouts to that AWFUL straight line unblended look as a fresher). But wanted to go blonder (and still want to go blonder but damn it's a long process). So after these trips to the hairdressers my hair just feels a lot dryer and duller. I have to admit I am no angel in the hair world as I use heat on my hair everyday (shoutouts to them natural curls). So I have been trying to give my hair a bit of TLC & hydration. So first up I have been using the L'oreal Elvive Extraordinary clay range - there isn't a particular reason for this, I was just a sucker to their advertising and decided I NEEDED it. Truth be told I am such a fan of pretty much all of the Elvive ranges as I think they are such great value. This clay range lives up to what it says though, it really helps you hair become less greasy. I wouldn't say I suffer with getting greasy hair quickly but I did find I could probably go an extra day without washing my hair and it still looking okay with this stuff. 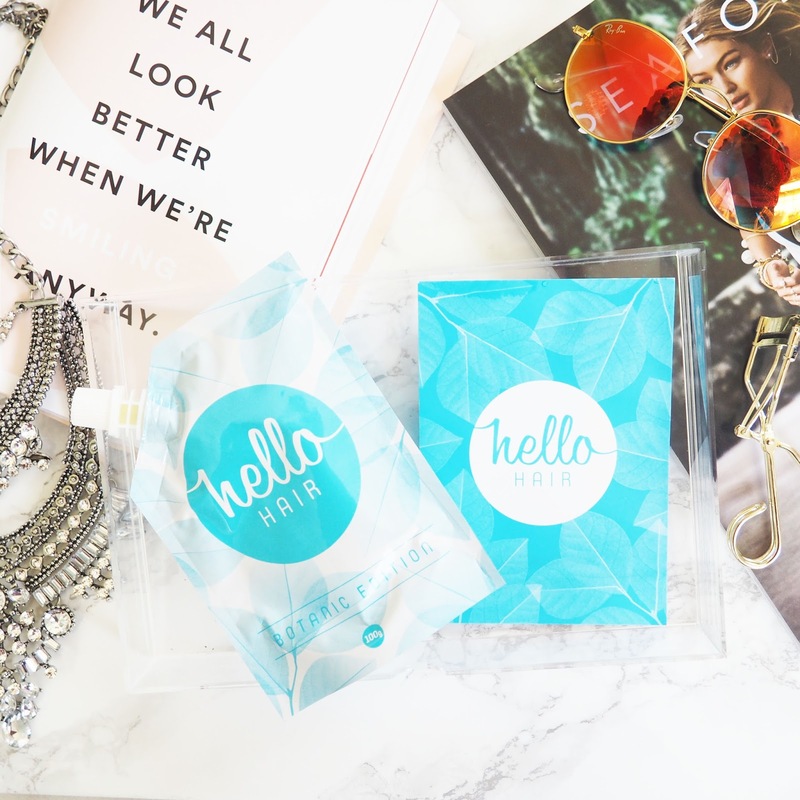 Then on to this little beauty of a product from Hello Hair. 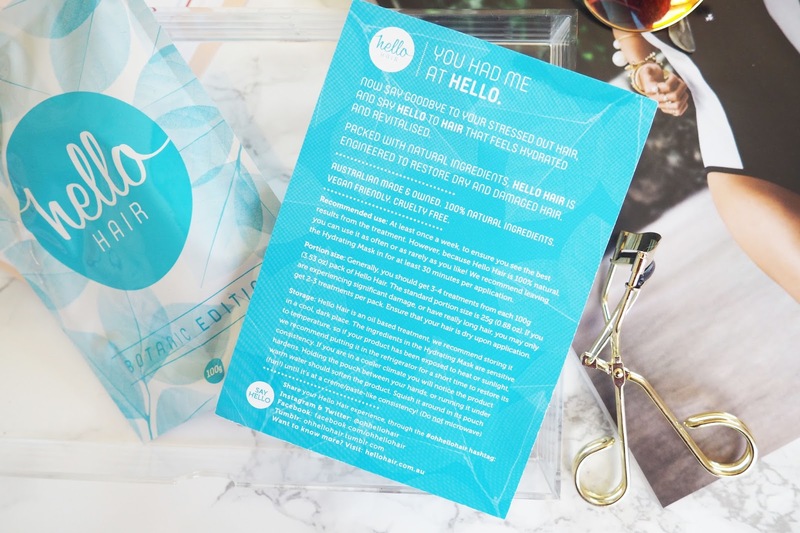 You may have seen them about on Instagram as they work with a lot of beauty bloggers who rave about their products (plus their feed is SO dreamy). I am ALL about hair masks and conditioners to help out my poor heat damaged hair so was mega excited to try this. The packaging is so pretty and simple and you really get those summer/beach vibes from the Australian brand. I got the Botanic Edition which has this super pretty pattern on the front and is enriched with natural products. Straight up when I received this it sort of wasn't what I expected - but not in a bad way! I was thinking it was going to be a sort of thick hair mask but it is actually an oil. You have to be a bit careful when pouring it out as I did make a bit of a mess first time round! I start by pouring some into my hands and rubbing it on the ends of my hair as that's where my hair really needs the TLC. I then work the excess that's on my hands into my roots. I tend to pour a little more out to really work in the rest of my hair and just massage it all in for a while. I have never used a product like this before especially on dry hair. I just wrap my hair up in a towel and leave for about 30 mins before washing my hair like normal. First thing I noticed when I washed my hair after was how soft it felt when using shampoo! The smell of this is super sweet and lovely. It's also 100% natural and contains coconut, argan and olive oil to make sure your hair is super smooth. You can probably get about 5 (give or take) treatments out of this, which is pretty good for $18. 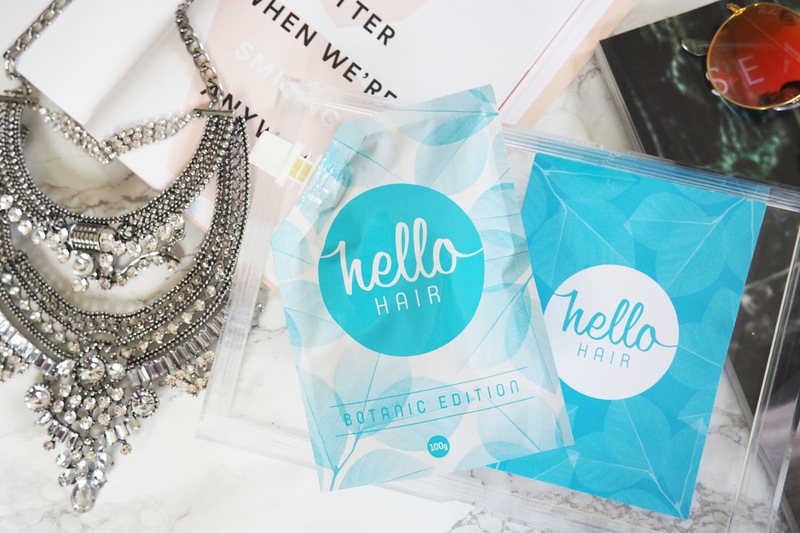 It leaves my hair feeling a lot more loved and softer. It's less dull and just generally feels more enriched, this has given the much needed TLC that my hair needed.